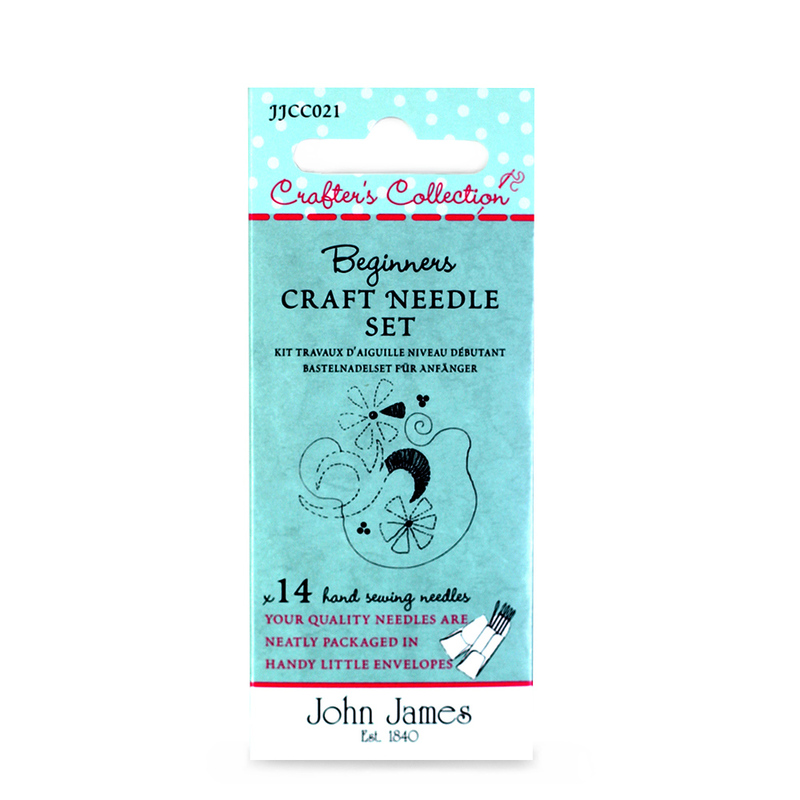 Crafters Collection: Beginners Craft Needle Set Asst. Beginners Craft Needle Set Asst. This is a brilliant compendium of needles designed for the beginner or the crafter who wishes to try and experiment with embroidery, quilting and cross stitch. The set contains beginner’s embroidery needles size 5, beginners quilting needles size 5 and beginners tapestry/cross stitch needles size 22. The needle sizes are designed to encourage and create confidence before moving on to the next stage of ability. This is a great gift idea for any age. There are 2 follow up packs: The Intermediate Craft set and the Advanced Craft set. Creativity at your finger tips.